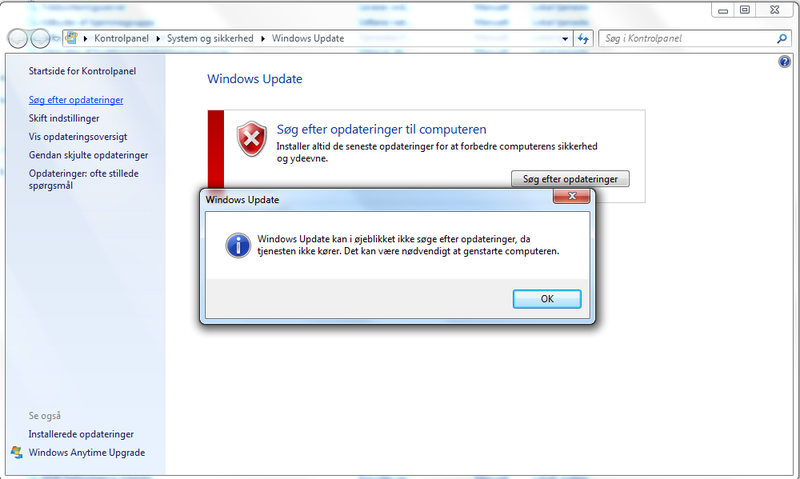 change your option to Never Update. Change the settings to your preference. 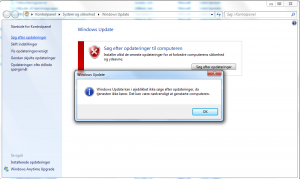 This entry was posted in Microsoft Windows and tagged Windows update cannot currently check for updates because the service is not running, windows update kan i øjeblikket ikke søge efter opdateringer da tjenesten ikke kører by Kasper Kristensen. Bookmark the permalink.